Cheyenne, Cheyenne where will you be campin’ tonight? Loney man, Cheyenne, will your heart stay free and light? Move along, Cheyenne like the restless clouds up above. Move along, Cheyenne the next pasture’s always so green. And when you settle down where will it be, Cheyenne! Cheyenne! Cheyenne wandered the West trying to avoid trouble but with little success. 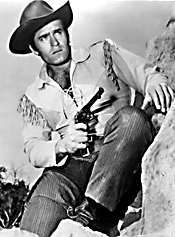 Although it is hard to understand who would mess with the 6’6” Clint Walker. 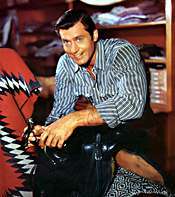 Producers quickly realized Walker’s hunk value and his shirt came off in an astonishing number of episodes. In the first season he had a sidekick, a mapmaker named Smitty (L.Q. Jones) but the character was dropped in the second season. 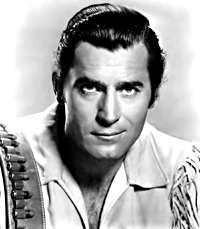 The filmography is convoluted as Cheyenne was part of Warner Brothers Presents, a rotation of series. (See below). Further complicating the lineup was Walker’s conflict with the studio. Reportedly, Warner’s wanted a huge piece of Walker’s PA (public appearance) money. So in 1958 Walker left the show while Ty Hardin carried on. By 1959 they had resolved their differences, and Walker returned. 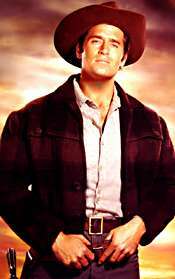 TV Guide’s Cheyenne Page, with TV Listings, Photos, Videos, Exclusive News and More.